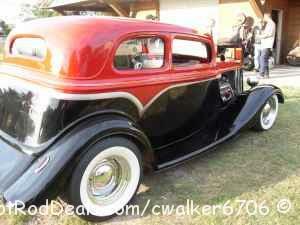 This is my 34 ford victoria up for sale. This is a fiber glass body the frame was recently built for this car, I built the car from the frame up. It has a 265 55 chevy motor that i rebuilt, with a turbo 350 trans. The motor and the car have 17 miles on it. all new rims and tires car is ready to drive.